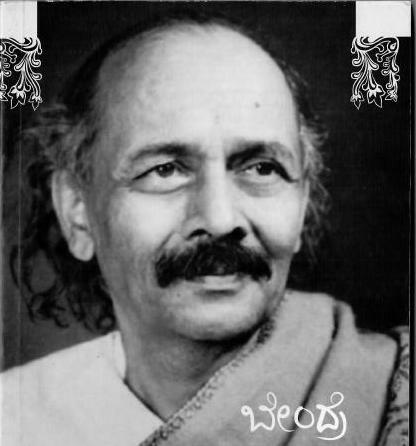 It is my opinion that the Shri Bendre’s magnificent poetry deserves a much larger audience than it now has – both within and outside Karnataka. Consequently, the issue of copyright is not a grave one – if these translations happen to be picked up and published somewhere, I only ask that my name be mentioned as the translator. What is more important to mention is that the rights of the original poems all lie with Dr. Vamana Bendre, the son of Shri Bendre, who lives in his home in Sadhanakeri, Dharwad. Having met and talked with him (and given him a copy of my translations), I believe he would be happy to know of this effort on my part to popularize his father’s poetry. However, his zealous guardianship (over-zealous some have said) of his father’s work and his dedicated and praiseworthy efforts to promote them in the manner he sees fit obliges me to mention the matter. Also, If you’d like to get in touch, do write to me at mk.ajjampur@gmail.com. I’d be very happy to hear from you!